The 2017-18 Volvo Ocean Race finds itself facing one of the greatest challenges and tragedies of its 40-plus-year history following the death of a commercial fisherman whose boat was struck by the joint U.S.-Danish team Vestas 11th Hour Racing. The accident occurred in the middle of the night, at around 0120 local time Saturday, just 30 miles short of the Leg 4 finish in Hong Kong. At the time Vestas 11th Hour Racing was sailing at about 20 knots through a stretch of water notorious for its commercial traffic and large fishing fleet toward what it hoped would be a second-place finish behind Hong Kong’s own Team Sun Hung Kai/Scallywag. The fishing boat that was struck reportedly had a crew of 10 and ultimately sank. Beyond that, while details have yet to be released regarding the exact circumstances of the collision, according to reports, nine of the 10 comprising the fishing crew were rescued by another commercial shortly after being thrown overboard. Vestas 11th Hour Racing crew recovered the 10th fisherman, who was then airlifted by the Hong Kong Marine Rescue Coordination Center to a Hong Kong hospital, where he was pronounced dead at 0630 local time. 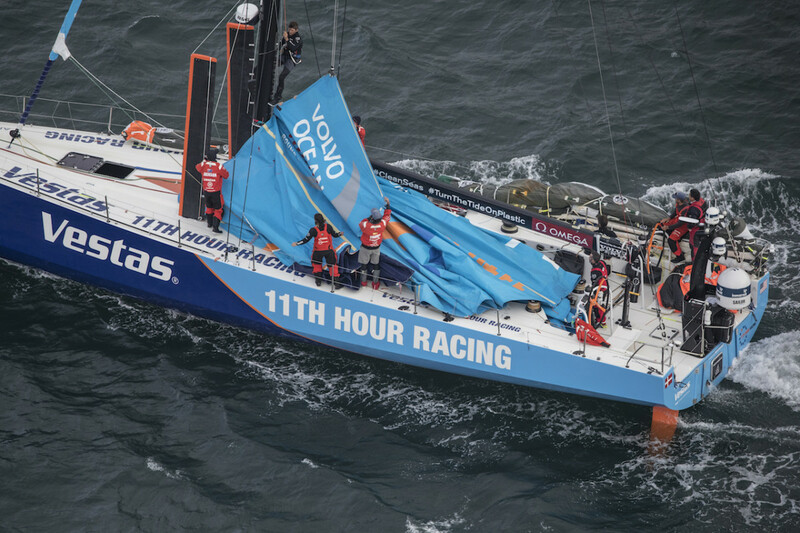 None of the Vestas 11th Hour Racing crew was injured in the collision, and the boat was able to continue on to Hong Kong under its own power despite sustaining a large gash in its port bow. (The boat ultimately retired from the leg.) At no time did Vestas request any form of assistance for itself, though it did send out a mayday on behalf of the stricken fishing vessel within moments of the collision. The one victim has not yet been identified. “We offer our deepest condolences to [the victim’s] loved ones and family. We are relieved that the nine other mariners on board were rescued and initial reports have them in good condition,” said VOR director Phil Lawrence. “As you would imagine the [Vestas crew] is very shaken and deeply saddened by the incident. They are being supported by the rest of their team as well the Volvo Ocean Race organization and have access to professional support should they request it. Along with Vestas 11th Hour Racing, we are actively working with the Hong Kong Police and the Maritime Authority to support the on-going investigation. Since the 2009-09 VOR, when the race began making stops in Asia, the teams have had to pick their way through fishing fleets in the area on a number of occasions. There have also been instances of boat becoming entangled in nets and other fishing gear. However, this is the first time there has ever been a collision. In an interview with France’s AFP news agency, past race winner Franck Cammas, who was sailing at the time aboard Chinese-flagged Dongfeng, said there were “countless” fishing boats in the area around the time of the collision. “We had to slalom a little bit ... We were almost at the boat&apos;s maximum speed, around 20 knots, with boats where everyone is concentrating on controlling the sails, with a lot of water in your face too, so it&apos;s going fast, and there&apos;s a lot of noise,” he said. No word yet on what, if any, changes the race might implement to avoid these kinds of accidents in future. However, given the fact that Hong Kong is one of the busiest ports in the word and there have been any number of close calls in the past, it’s a safe bet there will be some kind of reform. 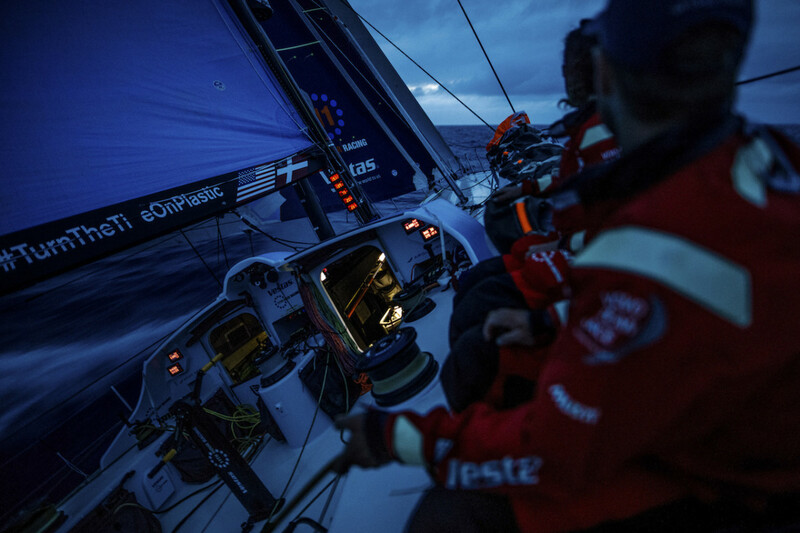 For the latest news, as well as the complete results from Leg 4, click here.